I have some of exciting news to share with you. 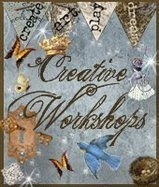 Gail Schmidt, of Shabby Cottage Studios, and Mind Wide Open, is now going to offer online workshops at Creative Workshops! She has asked me to teach one and I am very excited to do so. 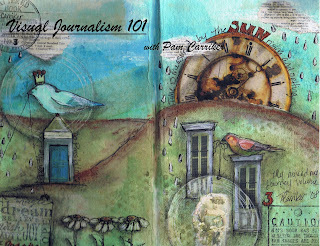 I will be teaching ‘Visual Journalism 101 ‘ starting January 12th. I will post more when it gets a bit closer and registration is open for the class, but you can head over to Creative Workshops and check out Sherry Smyth’s class, ‘Home For The Holidays’ and join the network. January 2009 will also see two articles and my journal pages from my first two journals published in the inaugural issue of Somerset’s ‘Art Journals’. I am so very happy to be able to share how meaningful keeping a visual journal can be, and what a valuable tool it is in creative pursuits. I’m excited to hear of your class! Jan 12th I will mark on my diary. Any idea of pricing? (plus materials? ‘n journal +paper+ best for that type of creating?) I need to save and would like to be ready. OMG! That is exciting news! I’m planning on registering for your January class! This is exactly what I’ve been looking for…and a new Magazine from Somerset on Art Journals…just like heaven! online workshops!! sweet. im ready! Oh Pam~This sounds great!!!!! I wanna do it.